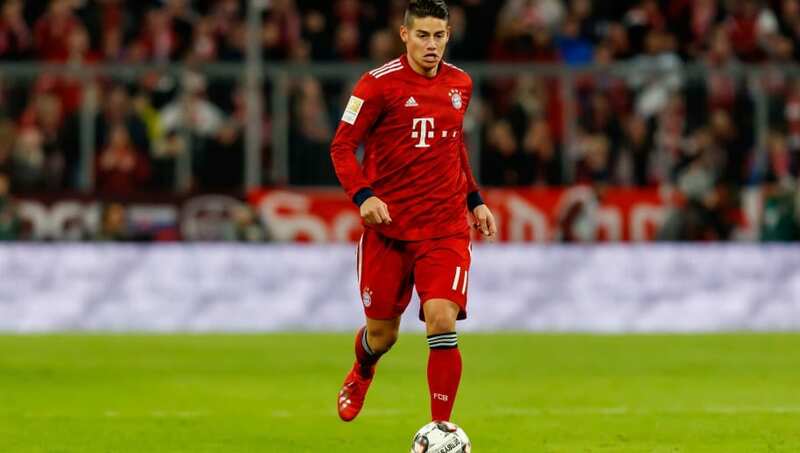 ​While Bayern Munich are yet to arrive at a decision on whether they would exercise the right to buy ​James Rodriguez from Real Madrid after his loan deal ends, it has been reported that the player would not want to move anywhere apart from the two clubs that he is associated with currently, especially not the ​Premier League. The Bavarians are reportedly still considering the idea of exercising the purchase option in his loan agreement with Real Madrid for 42 million euros. As revealed by ​MARCA Claro Colombia, James has has told the Bavarian club that he doesn't want to stay back in Munich and is keen to return to Real Madrid, even though his future at the Estadio Santiago Bernabeu is also fuelled with uncertainty. Rodriguez does reportedly have multiple doors of opportunities that have a lot of financial weightage including the Premier League where Arsenal are interested in securing his services. However, the report goes on to mention that in his head, he wants to play at Real Madrid, but if that doesn't happen he will have options and Cristiano Ronaldo has reportedly already called him to say he would be welcomed at Juventus.